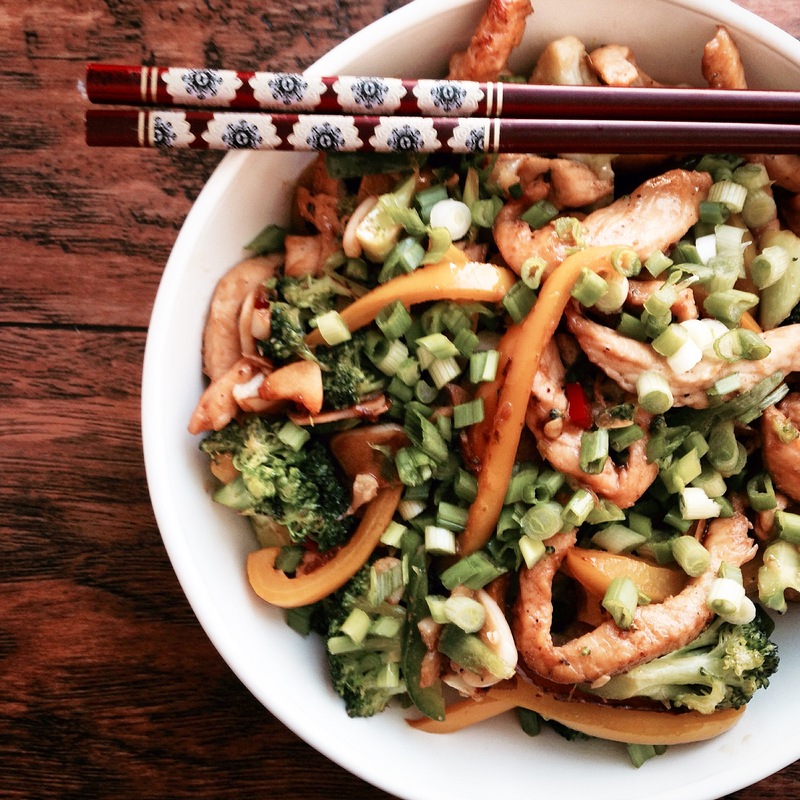 This is a fast and easy stir fry to make when you’re in a hurry. It’s a healthier fake out on Chinese take out. You can add your favorite vegetables to this mix. If you would like you can pair this up with some rice or noodles. I hope you enjoy. In a medium bowl take sliced chicken, soy sauce, sesame oil and pepper and toss together. Place a large skillet on high heat. Add 1 tablespoon of coconut oil. Gently add the chicken to skillet and let fully cook. Remove chicken on to a plate. Take remaining coconut oil and add to same skillet. Now add the veggies, garlic, s&p, jalapeño, cherry chili pepper and ginger. Sauté for about a minute or two. Add the chicken back to the skillet with veggies toss everything together. Lastly add the scallions. Serve.